Cato maior de senectute. Laelius de amicitia. HomePhilobiblonManoscritti e AutografiCato maior de senectute. Laelius de amicitia. Cicero, Marcus Tullius (106-45 BC). Cato maior de senectute. Laelius de amicitia..
Cicero, Marcus Tullius (106-45 BC). Cato maior de senectute. Laelius de amicitia.. Decorated manuscript on parchment. Fano (Italy), signed by Galeotto Martinozzi, 1447. 189x130 mm. I + 64 + I leaves. Nine quires. Collation: 18(-1), 2-38, 48(-1), 5-88, 92. The manuscript is lacking fol. 1/1, fol. 4/1 blank, and the lower portion of fol. 9/2 (with loss of a few words of text on the recto). Blanks: fol. 4/8v. Text block: 117x78 mm, one column, 22 lines. Catchwords written in the lower margin of the last page of each quire. Text written in a humanist script. Four-line pen-flourished initial in blue on fol. 5/1r, with extension ending with a horned satyr's head. The first capital letter of each paragraph set out. Strictly contemporary armorial binding (see below). A well-preserved manuscript. Parchment rather undulated, especially in first quire; blank outer margin waterstained, more evidently to the first and last leaves. 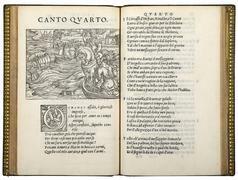 Small wormholes in outer margins of first two and last five leaves, not affecting the text. A few corrections in rasura in text. Some marginal and interlinear notes written in Latin and Greek in brown and red ink on fols. 5/1r-6/3r correcting the text and proposing variant readings. The eighteenth-century note ‘9 / 1. M. Tulii Ciceronis de Senectute / 2. M. Tulii Ciceronis de Amicitia' on the front pastedown. 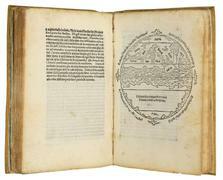 Text: The manuscript contains the near complete text of De senectute (owing to the loss of fol. 1/1 lacking the first two paragraphs, and the most of the third, up to the penultimate line) and the complete text of De amicitia. fols. 1/2r-4/8r: De senectute. Inc. Sed quid opus est plura? Iam enim ipsius Catonis sermo. Expl. ut ea quae ex me audistis re experti probare possitis. Finis deo gratias amen. Colophon (fol. 4/8r): ‘G.S. Tulius de senectute in Feliciter Explicit ego galeottus de martinotiis'fols. 5/1r-9/2v: De amicitia. Inc. Q. Mutius Augur scievola multa narrare de C. Laelio socero suo. Expl. ut ea excepta nichil amicitia praestabilius êê putetis. Finis. 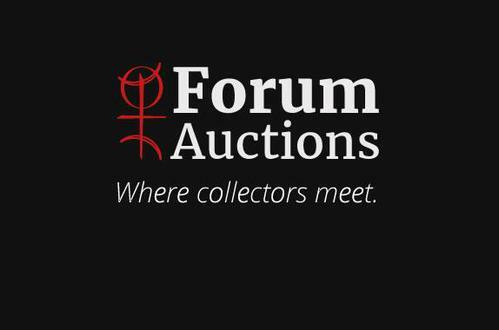 Colophon (fol. 9/2v): ‘Explicit liber tulii ciceronis de amicitia editi ad instantiam ac honorem attici civisRomani ego galeottus demartinotiis scripsi 1447'. Binding: Strictly contemporary brown goat skin over wooden boards. Covers framed within blind fillets and border decorated with straight tools. Four metal cornerpieces; at the centre a diamond blind-tooled frame with interlaced patterns and roundels enclosing the embossed metal and red velvet (now worn) coat of arms of the Martinozzi family within a pentilobate medaillon. Two metal lance-shaped clasps to fore-edges, traces of silkties. Smooth spine, decorated with a pattern of diagonal fillets and roundels. Covers somewhat wormholed. The inked number ‘6' on the upper cover, above to coat of arms. Round wormholes, small portion of the lower cover somewhat scratched, small loss to the upper extremity of spine. 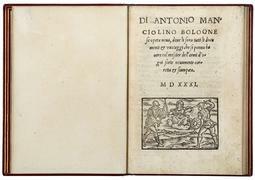 Provenance: From the library of the Martinozzi family, Fano (armorial binding with Martinozzi coat of arms on both covers; subscriptions signed by Galeotto Martinozzi on fols. 4/8r and 9/2v); by descent in 1746 to Benedetti Montevecchio family (eighteenth-century note ‘Della eredità Martinozzi' inked on the front pastedown; the note ‘Da me comperato' on the recto of the front flyleaf, in the hand of Pompeo Benedetti di Montevecchio). A highly remarkable manuscript, in its original armorial binding, written in 1447 by Galeotto Martinozzi from Fano, in the Italian region of Marche, containing the texts of two celebrated philosophical treatises by Cicero, De senectute and De amicitia. The manuscript offers precious insight into a ‘domestic scriptorium', and helps clarify the reception of Cicero during the Italian Renaissance. Both De senectute and De amicitia were composed in 44 BC, in the last year of Cicero's life. These writings often circulated together; moreover, Cicero regarded them as ‘companion-pieces': both are cast in the formof a fictional dialogue, and both have the same recipient, Cicero's friend Atticus. This textual tradition was respected in print: both texts first appeared together in a volume published in Cologne in 1467, issued by the printing house run by Ulrich Zell. The dialogues were widely read in Italian schools during the Carolingian age until the twelfth century, a popularity reflected in the roughly five hundred pre-twelfth-century codices that survive, upon which most ofthe research has been focused. 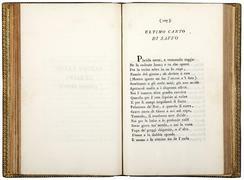 After nearly two centuries of neglect, Cicero's dialogues were once again studied during the Quattrocento; owing to their philosophical subject matter and elegant style, they served as useful examples for teaching Latin to students. 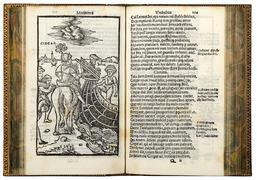 However, only fifty codices dated to the fourteenth and fifteenth centuries are recorded; there is, therefore, growing interest in these later manuscripts of De senectute and De amicitia, as they provide precious insight into the fortune and use of Cicero during the Renaissance. The manuscript tradition of both works is ample, and the texts included in the present codex area sort of ‘vulgata', i.e., the result of centuries of corruption and contamination. In the 1440s, Pietro Martinozzi, a wealthy merchant from Fano, decided to form a library which would include a number of classical texts and philosophical works. However, he did not commission a professional workshop with the transcription of these texts; rather, the entire Martinozzi family was involved in the initiative – including, exceptionally, his wife Giovanna. 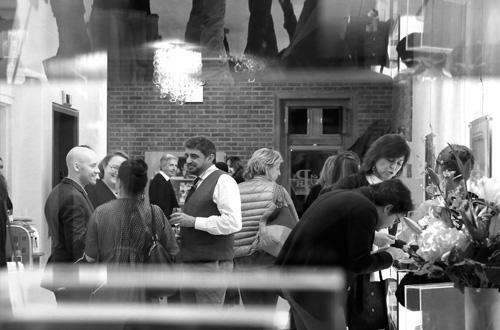 This impressive project speaks to the increasing number of educated, middle-class families in Italy during the fifteenth century, as well as the cultural climate of Fano more specifically. A group of manuscripts bearing the ownership inscription of Pietro Martinozzi –‘Petrus Martinotius Fanensis' – is preserved in the National Library in Rome. They contain works by Aristotle, Plutarch, Cicero, Cornelius Nepos, and Leonardo Bruni, transcribed in Latin, as some subscriptions attest, by his sons Galeotto, Simone, and Battista; Pietro's wife Giovanna was responsible for copying texts in Italian vernacular, including the Trattato di amore e carità by the Dominican Giovanni Dominici, whose subscription reads ‘Scricto per man de me Giovanna de Piero di Martinozzi' (National Library Rome, MS1335). Another particularly interesting example is MS 1331, likewise preserved at the National Library in Rome, and bearing a lengthy colophon in which Galeotto gives precious information about the collaborative formation of his family's library. These lines vividly communicate his proud sense of belonging to a family of merchants with genuine literary interests, humanistic education, and scribal culture. This sense of belonging to an educated Italian middle-class family is also evident in the newly discovered manuscript presented here and written in 1447 by Galeotto Martinozzi, who proudly signed the colophons of both texts. 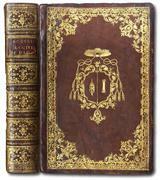 It is likewise evident in the extraordinary binding that houses the manuscript, the covers of which proudly bear the embossed metal and red velvet coat of arms of the Martinozzi family: the result is a fine combination of blind-tooled leather, metal and colour that is of the greatest rarity in the history of bookbinding. Indeed, the Martinozzi family took a special interest not only in the production of manuscripts for its library, but also in their bindings. 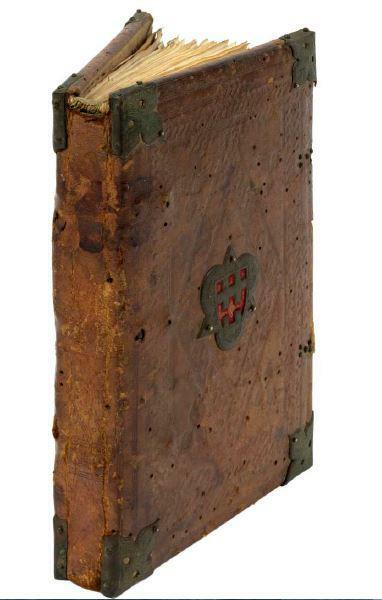 Martinozzi MS 1331 of the National Library in Rome has an identical binding, in brown goatskin over wooden boards. 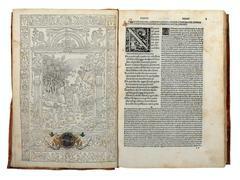 The style of strapwork pattern, the alternating of straight and curved strips, the elaborate form of the decorative metal elements – especially the central one containing the Martinozzis' heraldic device – are unusual for the Italian Quattrocento, recalling instead Spanish bookbinding of the fifteenth century, and the mudéjar style: similar bindings were produced by theso-called Toledo school. At that time, Fano was a thriving port town and an important crossroads. A large Jewish community, mainly originating from Spain, resided in the town, and documentary sources attest to the many Jewish bookbinders who were active in the area. In fact, the binding of the present manuscript shows some decorative similarities with a fifteenth-century Sephardic Bible now held in the Biblioteca Comunale of Imola, a city not far from Fano. In 1746 this manuscript, together with the rest of the Martinozzi library, was inherited by a collateral branch of the family, the Counts of Montevecchio, as evinced by the note ‘Della eredità Martinozzi' on the front pastedown, probably written by Pompeo Benedetti di Montevecchio. As previously mentioned, a number of the manuscripts copied by various members of the Martinozzi family in the fifteenth century are also found at the National Library of Rome, which acquired them between 1968 and 1972. However, the total number of codices with this provenance, signed by Galeotto or Simone Martinozzi, or bearing the inscription ‘Della eredità Martinozzi' remains unknown. Further, upon her death in 1475, the aforementioned Giovanna Martinozzi bequeathed her books to her son Battista, and some manuscripts later owned by him are now inthe Biblioteca Malatestiana in Cesena, a line of transmission that merits further research. Neverthless, the subsequent fate of the Martinozzi manuscripts seems to have been very complex, and probably not entirely ‘pacific', as a striking material feature suggests: the present codex is missing the first leaf, as well as a substantial portion of the last one. Intriguingly, most of the Martinozzi manuscripts at the National Library in Rome bear identical losses. The few that are complete reveal the presence, precisely on the first recto and last verso, of Martinozzi's painted coat of arms. The loss – as in the present case – of these leaves could therefore be the material result of harsh patrimonial conflicts. The newly discovered Martinozzi codex therefore adds a significant tile to the still fragmentary reconstruction and subsequent destiny of a library proudly formed by an educated, middle class Italian family of the fifteenth century, narrating a passionate tale of manuscript production and bookbinding in the porttown of Fano. V. Jemolo (ed.) Catalogo dei manoscritti in scrittura latina datati o databili. 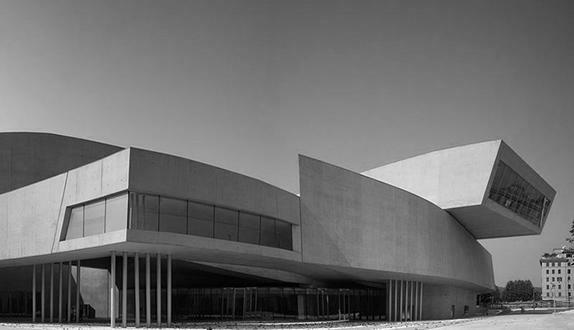 I. Biblioteca Nazionale Centrale di Roma, Torino 1971, pp. 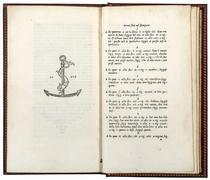 133-137; P. Garbini, “L'Hermaphroditus di Antonio Beccadelli in una miscellanea fanese di casa Martinozzi”, Annali della Facoltà di Lettere e Filosofia dell'Università di Macerata, 19 (1986), pp. 608-653; A. Spotti, “Guida storica ai fondi manoscritti della Biblioteca Nazionale Centrale Vittorio Emanuele II di Roma”, Pluteus, 4-5 (1986-1987), pp. 359-386; P. L. MacKendrick, The Philosophical Books of Cicero, London 1989; Trent'anni di acquisizioni, Catalogo della Mostra, Roma 16 dicembre 1992 - 30 gennaio 1993, Gaeta 1992, pp. 37-44, nos. 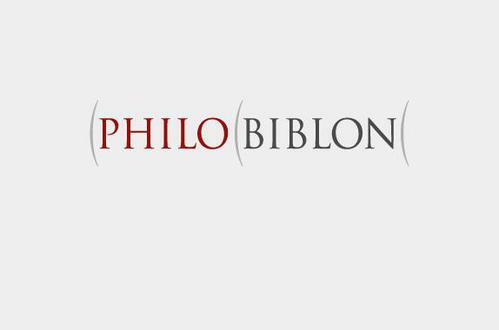 22-31; L. Miglio, “'A mulieribus conscriptos arbitror': donne e scrittura”, E. Conello - G. De Gregorio (eds. ), Scribi e colofoni. Le sottoscrizioni di copisti dalle origini all'avvento della stampa, Spoleto 1995, pp. 235-265 (esp. pp. 256-258); J. G. F. Powell, “The Manuscripts and Text of Cicero's Laelius de Amicitia”, The Classical Quarterly n.s., 48 (1998), pp. 506-518; R. Black, Humanism and Education in Medieval and Renaissance Italy: Tradition and Innovation in Latin Schoolsfrom the Twelfth to the Fifteenth Century, Cambridge-New York, 2001; M. B. Paolini, “Pompeo Benedetti di Montevecchio, un erudito in viaggio tra l'Italia e la Sassonia”, Nuovi Studi fanesi, 20 (2006), pp. 39-60.